Dakshin at ITC Kakatiya, which celebrates the best of classic South Indian culinary legacies, has been a perennial dining favourite of mine, especially its live station, Iyer’s trolley, which doles out hot and fresh mini adais, uttapams, banana-flavoured dosais, ‘kunnipanniyarams’ and a host of delightful coconut, ginger and tomato chutneys. 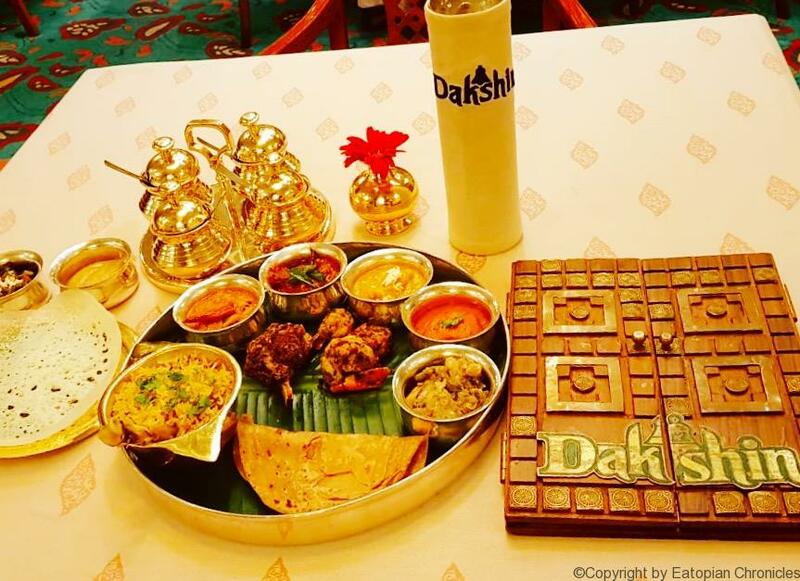 Dakshin’s menu saw an update recently, with 28 new dishes added from each of the five southern states of Andhra Pradesh, Telangana, Kerala, Karnataka, Tamil Nadu and the UT of Pondicherry, adding to the already extensive repertoire to 40 vegetarian and 27 non vegetarian dishes. Chef Praveen Anand, executive chef South Indian cuisine, ITC Hotels for pan-India was in town to host the menu preview. 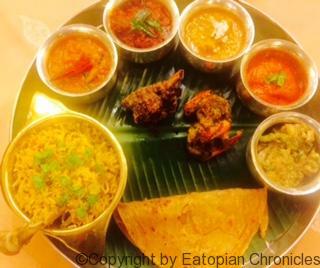 After the usual delicious rounds of the Iyer’s trolley, it was time to sample the new menu delights. 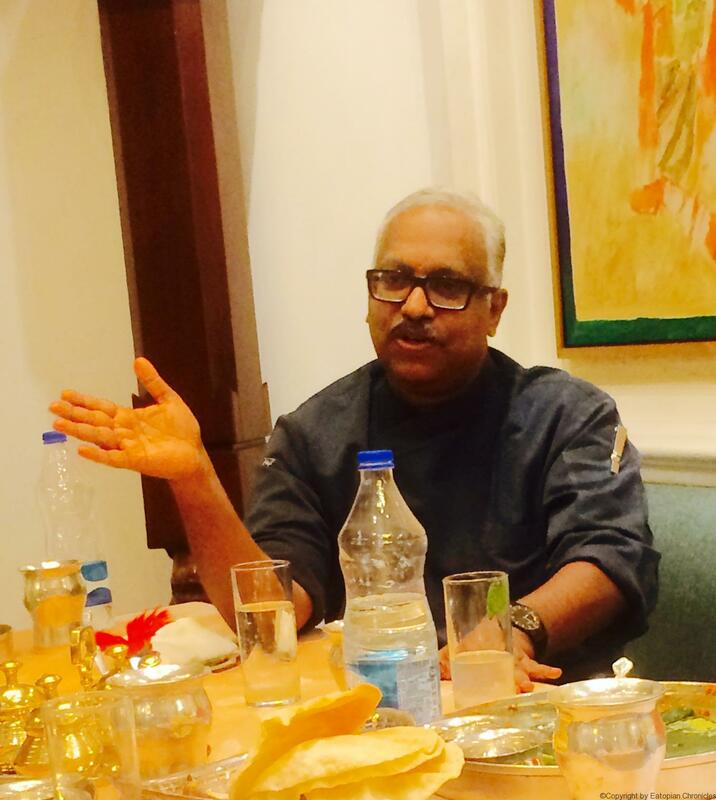 Chef Praveen took us through the menu additions, explaining the state of origin of every new dish in great detail. 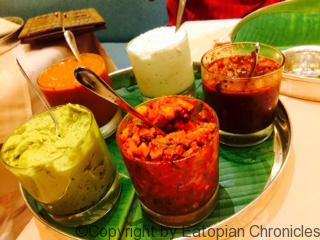 The delicious chutneys medley of the legendary Iyers Trolley named after chef Iyer: coconut, tomato, beerakaya (ridge gourd), ginger, mango thokku! While Vazai Shunti, spiced raw banana mash dumplings in a lovely golden-fried shade (a Thanjavur speciality, we were informed by chef Praveen) got everyone at the bloggers table raving it was Aatukari Chops, marinaded lamb chops dipped in egg, crumb fried to a crispy perfection, which were spectacular! Chef Praveen Anand, who is executive chef across Dakshin properties of ITC Hotels, happens to be from Telangana! 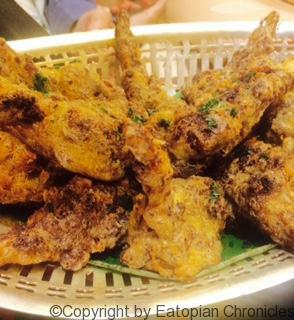 Aatukari Chops, lamb chops dipped in egg and crumb fried were deadly! 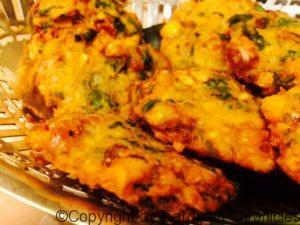 In main courses, it were the vegetarian dishes which were the surprising stand-outs, staying with me, long after the meal, specifically the Ananas Mensakai, pineapple curry cooked with Byadgi chillies, and ground coconut. Tangy-sweet with a sharp bite to it, this one was a clear winner! Also notable was the Beerakai Paal Koora, ridge gourd cooked in coconut milk and spices, subtle and flavourful with a healthy, home-style undertone to it. Telangana and Andhra favourite Natu Kodi Koora (country chicken cooked in a thick gravy with poppy seed s and cashew paste) was a palate-pleaser too, as well as the Andhra spicy special Uragai Mamsam, mutton curry using tomato, vinegar and pickling spices, more like the north Indian achaari gohst. Also drop dead delish were the Nathakodayoor Yera Kozhambu (prawns in a special paste of spices blended with coconut) and Meen Pollichatti, (pearl spot fish fillet in a pepper-ginger-green chilli paste steamed in banana leaf) both from Kerala. 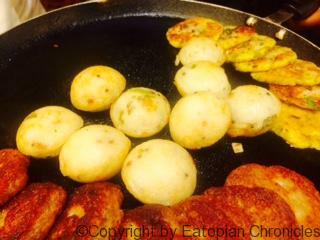 While I had my favourites amongst the various dishes we tried, each one of them was unique and distinct in its flavour identity, leading me to wonder why people north of the Vindhyas still typecast the diverse south Indian cuisine as only idli, dosa etc! Desserts time and there was the Kerala delight Aadikumayam, a rice-lentils halwa, as well as Kadal Patchee, a frozen speciality of Keelakarai (Tamil Nadu) made with milk, khoya, china grass and pistachios, more like a kulfi, and I liked its texture, as it was as smooth as a phirni with a bit of nutty aftertaste with the pistas. 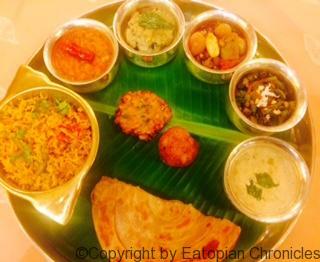 The new menu also has special chef-curated menu experiences for the gourmands, with four thali options: Saivam (vegetarian), Asaivam (non veg), Matsyam (sea food thali) and Sampoornam (best of the best in both veg and non veg options). NH2: A Highway Full of Fun! Yi Jing debuts in apna Hyderabad! Royal Repast, Dum Pukht Begum’s style! Eatopian Chronicles © 2018. All Rights Reserved. Designed by Palred Technology Services.